​Chelsea are closely watching Philippe Coutinho's situation at Barcelona as they fear Eden Hazard is inching closer to a move to Real Madrid. Hazard has made no secret of his desire to represent Real at one point in his career and, with just 18 months remaining on his current contract at Stamford Bridge, it is believed that they will look to sell the Belgian this summer if he refuses to sign a contract extension. News of ​Chelsea's interest in Coutinho comes from ​The Independent, who add that the Blues are considering bringing Coutinho back to the ​Premier League if they find themselves without a star forward. ​Hazard has delayed negotiations with Chelsea over a new contract as he considers his future, with Chelsea thought to have offered Hazard a new £300,000-a-week deal in an attempt to convince the Belgian to remain at the club. However, the feeling at the club is that Hazard will request a move to the Bernabeu at the end of the season, and Chelsea will demand a fee of £100m from ​Real if they are to part ways with their talisman. ​Borussia Dortmund's Christian Pulisic is set to complete his £57m move to Chelsea at the end of the season, but it is thought that they could look for somebody with proven form in the Premier League, such as Coutinho, as they face the possibility of moving forward without their star player. Since making his move to ​Barcelona in January 2018, Coutinho has struggled for form. He has registered just four goals and two assists in La Liga this season, leading to many fans growing frustrated with Coutinho's form. 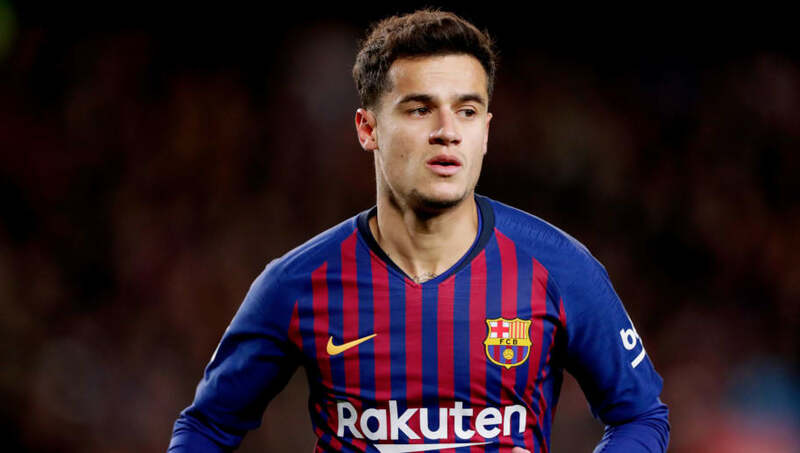 Barcelona are thought to be insistent that the Brazilian winger will not be sold, but a sizeable offer from Chelsea certainly could tempt the Catalan side to authorise Coutinho's departure. The 26-year-old undoubtedly enjoyed the best form of his career in England, establishing himself as one of the world's finest attacking midfielders during his time with ​Liverpool. He registered 54 goals and 45 assists during his six years with the club, before earning his expensive move to Barcelona.